Sam’s Club is offering up to 25% off Gift Card deals both in-store and online. 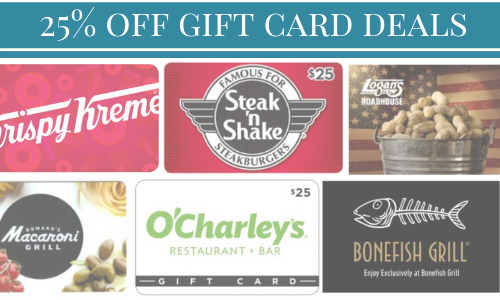 Grab these gift cards for gifts or use the discounted cards with sales and other specials to save. Do note that if you are not a member, you can still grab these deals, but you will be charged an extra 10% non-member fee. Offer valid through 3/20. Gift cards ship for free.